Mulaka takes inspiration from northwestern Mexico, and it’s easy to see why. Not only do the native people (the Rarámuri) have interesting beliefs, but they also were well-known for their long running (which manifests in the game as an endless sprint). The location is also home to some amazing natural geometry, so all the elements are there to be the basis for something great. Unfortunately, the beliefs of the indigenous people are barely explored beyond a few quick dialogue exchanges in each level, and the amazing landscapes of Mexico serve as the home for a mediocre action platformer. To waste such an interesting premise is a real bummer, as the Rarámuri had an extremely intricate way of life that focused on the betterment of the world rather than good and evil motifs. Instead of exploring these philosophical ideals in any detail, Mulaka arms players with a weapon. Most levels are spent fighting animals and supernatural creatures, and these are all dealt with via some basic combos (mash square or triangle to unleash either light or heavy attacks). Occasionally you’ll meet other humans, but they rarely have anything of importance to say rather than that they need help. The first problem with the game is just that the character doesn’t handle well. Both combat and movement feel unnecessarily stiff, which goes against the Rarámuri being filled with great athletes. Instead, players have to clumsily make their way through combat changes that can be mostly won with the same three-hit combo attack. There’s little challenge with individual enemies, and the only times I ever came close to dying was when the game decided to trap the player in an area and throw waves of multiple enemies at the player. It’s not an enjoyable way to present a challenge, and I could only sigh when I encountered yet another boring combat exchange that offered nothing but quantity in terms of difficulty. One of the most disappointing parts of Mulaka is how the worlds are laid together. There’s little in terms of cohesion, with large empty stretches of wilderness separating the important locations. It’s the opposite of Super Mario Odyssey, where every single inch of the game seemed purposefully designed and put there with the utmost care. The levels don’t feel alive, with any sort of environmental storytelling being kept to a bare minimum, and they aren’t enjoyable to traverse. It also doesn’t help that the entire adventure is way too formulaic. Each stage has players finding three crystals (that are typically locked behind a combat encounter or puzzle) that’ll unlock a door to a boss fight. The player can see the locations of the crystals immediately, so there’s little reason to interact with parts of the world that don’t have an icon near them (not that there’s anything interesting to see there anyhow). New mechanics (such as being able to transform into a bear to destroy walls or being able to formulate a shield) are introduced with each stage, but these just slightly change how you solve some puzzles. They never delivered a fundamental difference, and it felt like I was playing the same stage with a different skin repeatedly. As mentioned above, the player winds up getting the ability to transform into different animals for brief amounts of time. The first transformation that players unlock is a bird, and it winds up breaking large portions of the game. I was able to routinely access areas that I wasn’t supposed to by taking advantage of uneven geometry. Once I figured this out, I wound up using this to make my way through several of the levels more quickly as there was no added enjoyment in activating a bunch of buttons to open an area up if I could just get over a wall by flying. I sometimes went through parts of the environment or ended up in places I wasn’t supposed to normally access, but that’s what happens when a game is released in such a buggy state. As far as positives go, each level does offer a few gorgeous views. 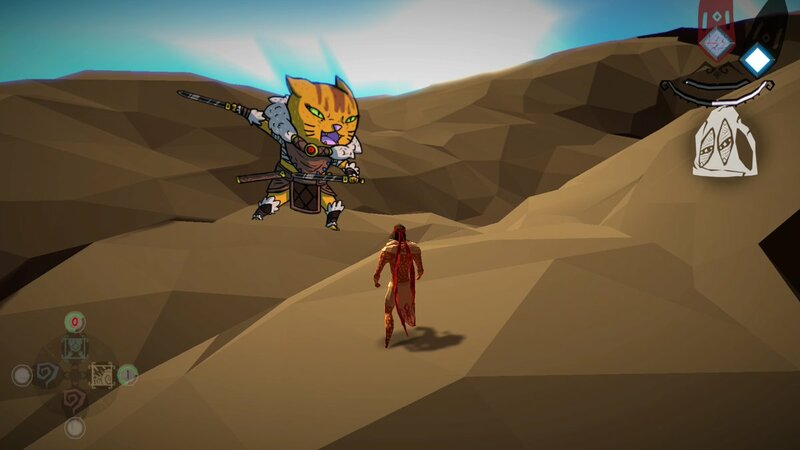 Mulaka‘s low-poly art style really works at certain moments, particularly when the game lets the player really look at the scope of an area. The look struggles with close-ups, though, which are overly used for dialogue sequences and really highlight how weird some of the character models look. So, even its strongest area alternates between a sometimes ugly game and one with a few breathtaking moments. Mulaka review code provided by publisher. Version 1.03 reviewed on PlayStation 4 Pro. For more information on scoring, please read our Review Policy.